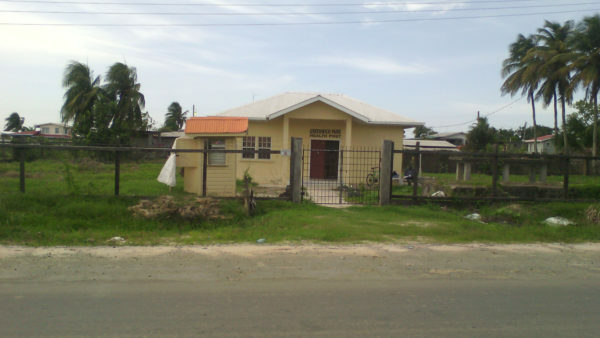 Greenwich Park is a village situated on the East Bank Essequibo. Some 7,000 people live in the houses running along both sides of the Public Road. Behind the houses on one side are rice fields and on the other behind the other, the massive Essequibo River. The island, Leguan is opposite the village and can be seen on the horizon on a clear day. 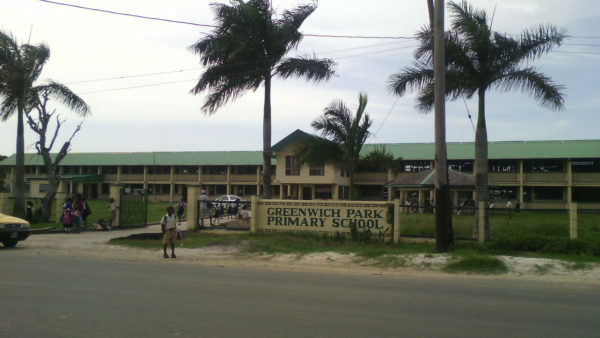 The Greenwich Park Primary School is eye catching and is believed to be the most beautiful primary school building in Guyana. The World Beyond Georgetown visited on a school day and was greeted with the happy sight of children playing and running carefree in the compound. Through one of the streets and neatly displayed in a glass case on a table were egg balls, pholourie and plantain chips among other eatables but no vendor in sight. The vendor, Kamini Dindyal, lives one house away. Although a little shop stands between her and her little table of goodies, she maintained that she doesn’t worry about any going missing since that would be unlike the residents in Greenwich Park. She said customers wishing to make a purchase usually call out to her. Dindyal moved to Greenwich Park from Canal Number Two Polder 18 years ago when she got married. She considers Greenwich Park to be one of the best communities in the country and the best on the West Coast. “You can leave you things out and people here won’t touch it,” the woman said. Many other residents seemed to share the same opinion since a number of yards remain unfenced. Dindyal and her family are Muslims but since the village has no Mosque they walk over to the nearby village of Good Hope. Every Friday she visits the Mosque for “Jumma”; her husband and children go in the afternoons. Dindyal travels to the Parika Market every Sunday to purchase groceries, fruits and vegetables to take her through the week. Whenever she runs out of something or the other she sends to one of the smaller shops around her. As we spoke, police patrolled the area. 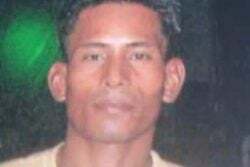 According to Dindyal, it is unusual for them to do so and security has been heightened because of the recent tragedy in neighbouring Good Hope where the Munirs an elderly rice-farming couple died in a fire that was set by bandits. The seawall situated behind her overtops whenever there are high tides but the drain below drains off excess water so they’re never flooded unless the rain falls for a lengthy period of maybe three or four days. Dindyal said she is comfortable with her life since necessities such as electricity and potable water are two services they enjoy. However, she wishes that the trench can be cleaned more often and that her street be rid of its potholes. She also mentioned the need for telephones and street lights. 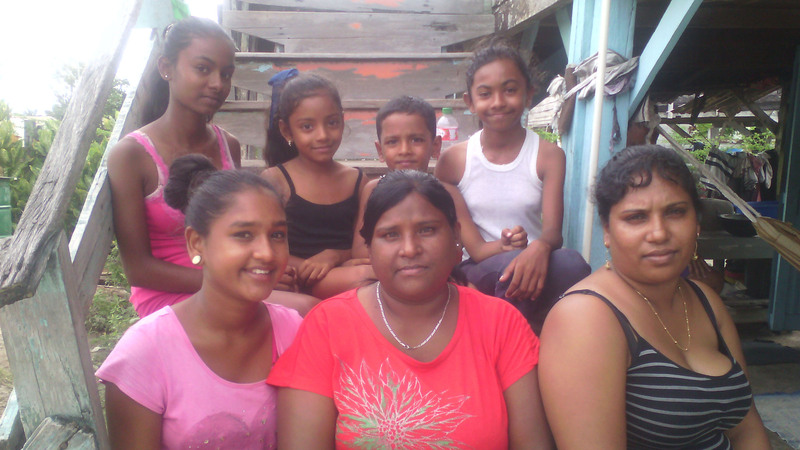 Born in 1944, Rahana Beharry is 73 years old and one of the oldest villagers. She has been residing in the same spot since she moved to Greenwich Park almost 40 years ago. 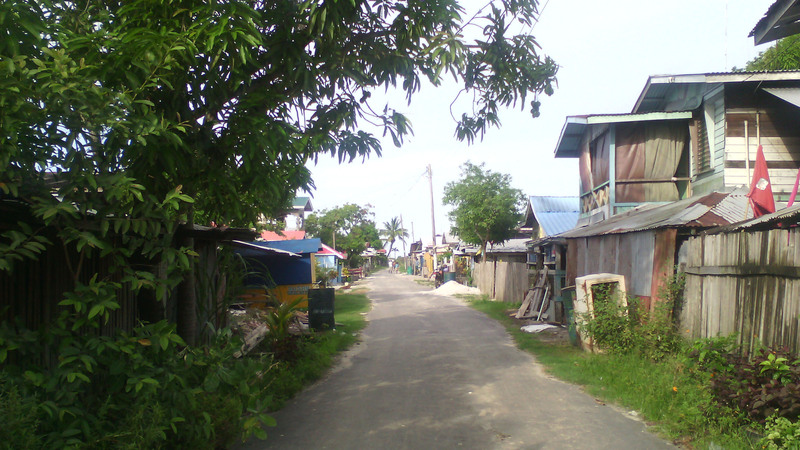 A road in the village build by self-help. According to Annie Persaud, even the smallest child helped. She said she had been renting houses for a while, but got tired of it and went in search of a place to live. After seeing persons squatting in the area, she decided that she wanted to live there as well. “I come and talk to the man in charge [the late] Mr Julian”, she said. According to the woman after seeing her with her seven children he granted her a plot of land. “When I come here it was really hard. 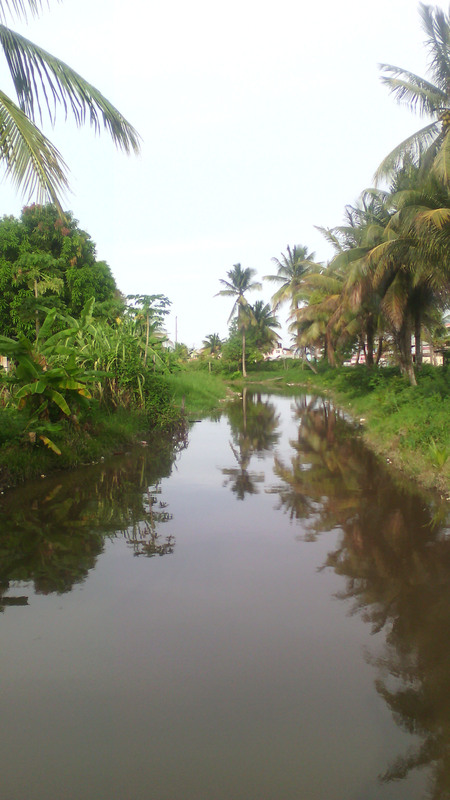 We had to use kerosene lamp and me and meh children used to got to walk over to the canals in the rice fields to fetch water. Sometimes the sun was so hot it barely had water plus people fetching from it and then the labourers got to use it to soak the rice bed. Sometimes the water so lil bit that you got to part the grass and you can’t dip water with the sauce pan or bucket; you got to use a bowl,” Beharry said.The canal water was used to cook and drink while the water in the trench situated in front of her was used for bathing, washing clothes and utensils. The trench she said was kept clean and would have remained so if it was still used for that purpose. Eight years after they moved to Greenwich Park, she lost her husband and as the sole breadwinner she became a domestic and also worked in the rice fields weeding the grass. She only stopped seven years ago after coming down with arthritis. “The people here alright; I don’t have a problem with them. We don’t have a problem in this place,” Beharry said. She has never left and will never leave Greenwich Park as she’s surrounded by her children and grandchildren. 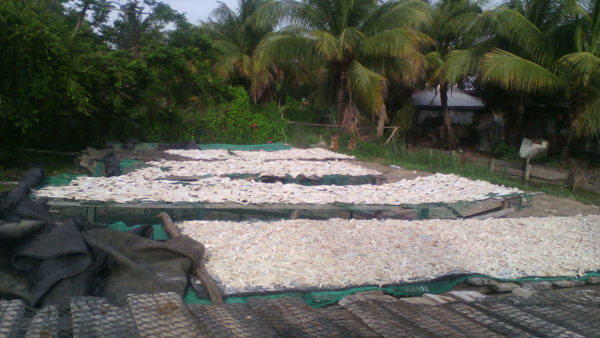 In another street, a quantity of salted fish spread across mesh platforms was drying in the sun. 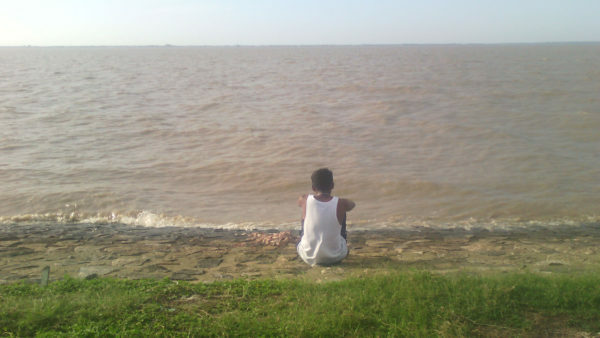 On the seawall, people sat enjoying the cool breeze, looking towards the vague outline of Leguan on the horizon. A fisherman was chopping pieces of fish guts to use as bait. Just off the seawall, the World Beyond Georgetown ran into Annie Persaud. She was born in the village. “My experience here is a blessed one. People looking out for each other? Yes. Cooperation? Yes,” she said. “Our school was the old Greenwich Primary School. It was situated where the health centre is today. 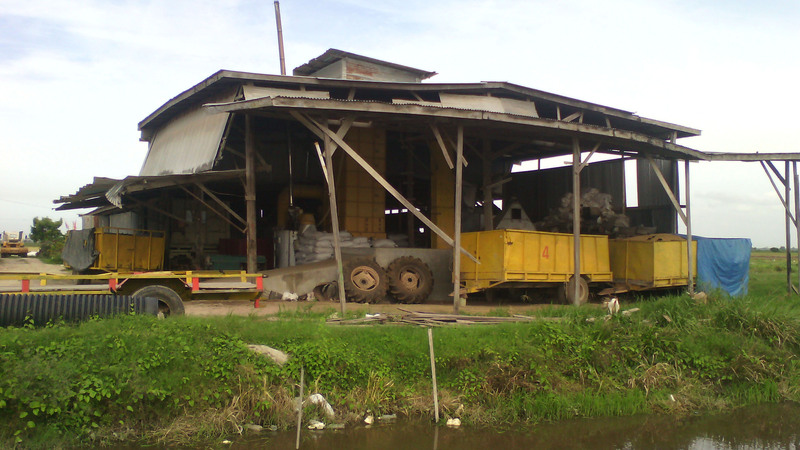 It was an old wooden building. The primary school had a kindergarten [nursery] section attached. 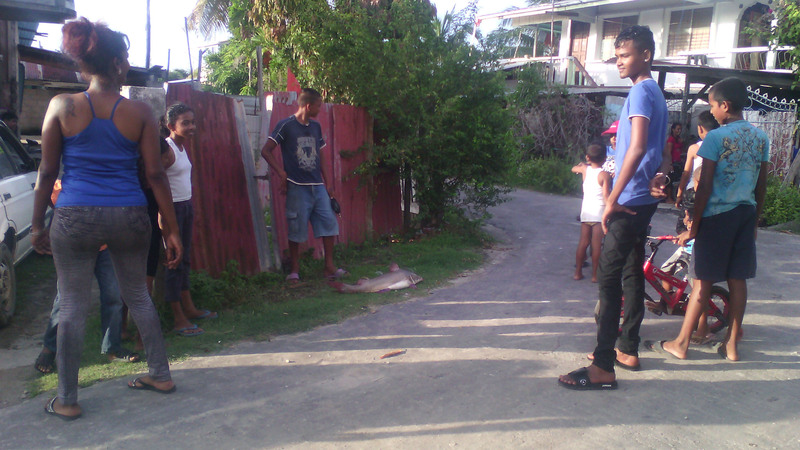 The present school is just the primary level,” Persaud said. The drying salted fish belongs to a relative of hers who sells it to supermarkets around Guyana. “Since I little, I know they making a living off of that,” she added. Then someone outside shouted, “Y’all come see this fish!” In the street was little Ravi struggling to lift and only managing to drag a huge fish he had just caught at the seawall. 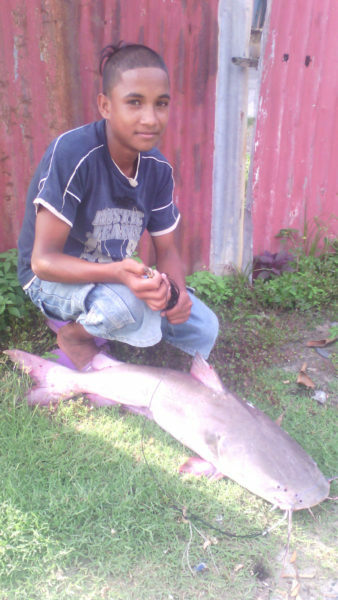 Neighbours came rushing out to see his catch. Back inside Persaud said, “You see what I said? This is a blessed village. We have everything in this area or nearby.